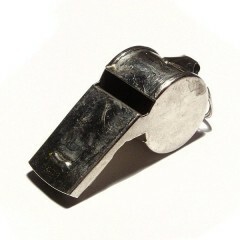 Whistle-blowers are worth their weight in gold, though governments certainly don’t think so. Some of the most important things we’ve learnt about the nature of the societies we live in have come exclusively from whistle-blowers, without whose help the democratic holding of governments to account in critical areas of policy would have been impossible. Since whistle-blowers are far more effective than parliaments at exposing serious misconduct in State or quasi-State fora, let alone in a wide variety of private workplaces,assuring whistle-blowers of full protection becomes a crucial part of the democratic audit. The relevant UK law today, the Public Interest Disclosure Act (PIDA) 1998, brought about a 11-fold increase in public interest disclosures to 1,761 by 2009, but at the same time employees lodged over 9,000 claims alleging victimisation for whistle-blowing. That suggests that victimisation against genuine whistle-blowers should be made a criminal offence. A series of recent cases illustrates this. A lawyer at HMRC found that his boss, David Hartnett, was having ‘sweetheart’ sessions with Goldman Sachs allowing the bank to be relieved of £10m in tax and using PIDA wrote privately to the National Audit Office, but when HMRC found out they went berserk and using the anti-terrorist Regulation of Investigatory Powers act (yes!) had his belongings, emails and phone calls searched, suspended him from his job and left him a broken man. When the PAC chair then asked Lin Homer, head of HMRC, never again to use anti-terror laws against whistle-blowers, she refused. It’s not just HMRC or the gagging clauses in the NHS. The policeman who blew the whistle in March last year on the Met police’s massaging of crime figures was driven to resign, citing his ‘treatment as a result of making disclosures in good faith and in the public interest’. He had been placed under police investigation for ‘misconduct’. Or take the case of the Mid-Staffs whistle-blower, Julie Bailey, who had to move home after being insulted, threatened and attacked as a liar. Her dead mother’s grave was desecrated because she had ‘brought shame on the town’. Posted in: Civil Liberties, Politics, Public services, Westminster, Whitehall.